Carnival Cruise was founded in 1972 by businessman Ted Arison. Arison started the venture as an independent cruise ship company, but it is now the biggest fleet under the Carnival Corporation. The fleet is known for its flashy decor and wide array of activities for guests to partake in while onboard. Learn more about the Carnival Cruise application, company, and hiring process below. Currently, there are 24 ships in the Carnival Cruise fleet. They have international routes to the Caribbean Islands, Bahamas, Alaska, Mexico, Hawaii, Australia, Europe, Canada, New England, New Zealand and the Pacific Islands. The company plans to add two more ships in the next two years and recently announced plans to establish a route to Cuba. The company prides itself on giving guests the biggest “bang for their buck”. It started out as a cruise line that aimed to create low-cost, short vacations for people. Not only do they want guests to be able to travel efficiently, but they want them to have a fun experience. They create experiences for guests by offering services and entertainment like music, spas, and dancing in the daytime and nighttime. The number of Carnival Cruise employees totals about 40,000, with the majority on the ship. Carnival Cruise jobs online reflect their mission for guests. They are called “fun careers” by the company for the progressive, fun working environment. A position with the organization can hold many rewards and may be perfect for those that want to travel. Carnival Cruise job opportunities are split into two main categories: land-based and shipboard. Land-based positions are mostly in office locations and include: travel agent, business analyst, casino staff coordinator, customer marketing manager, call center customer service agent, graphic designer, sales consultant, and web developer. Most land-based positions are in the Florida location. Shipboard positions work and live on the ship when it is on a trip. Possible employment opportunities in this area include: guest services, casino staff, photographers, medics, IT managers, ship deck officers, musicians and entertainment crew, bartenders, chefs, ship engineers, and tour guides for land excursions. Shipboard employees live more of a nomadic lifestyle than their land-based counterparts. How old do you have to be to work at Carnival Cruise? Employees must be a minimum of 21 years old to work with the cruise company. Land-based employees will most likely work a typical work schedule from 9-5 at the corporate headquarters. The headquarters are located in Doral, Florida, close to the Miami International Airport. Shipboard employees may have a demanding schedule, because they work in shifts and live on the ships until the trip ends. However, the benefits package for workers is one of the best in the industry. Benefits include: health care insurance, life insurance, a 401K savings plan, tuition reimbursement, paid sick time, vacation days, and holidays. Employees also have access to facilities like a health and wellness center and a day care center. Guest Services – Members of the guest services team help guests board the ship, address concerns, and answer questions. They are essential to shaping the guest experience. Members of this team must be friendly and outgoing, with a passion for helping others. Guest services staff generally make around $24, 000 per year. Casino Staff – Those that work in the casino department are often dealers for popular games like BlackJack and Roulette. They are expected to be courteous and welcoming to visitors. Dealers must have at least a year of previous experience in a licensed casino. Pay typically starts at $10 per day plus tips. Tips make up the majority of their wage. Shore Excursion Member – On some cruises, ships will make planned stops at select locations on shore. Shore excursion member responsibilities include the planning and leading of these trips. They are responsible for keeping guests safe and comfortable during these voyages. Often, previous travel or tour guide experience is required. They are usually paid around $2,000 monthly. Sales Consultant – Sales consultants are land-based and work in call centers. They make outbound sales calls to sell cruise packages to prospective guests. Candidates must train on-site before they can begin. The position is salary with an uncapped commission. Top salespeople can earn as much as $90K a year, but the average is around $60K. The interview experience can vary for each category, but common questions are as follows. How would you describe yourself? For positions like guest services, they are looking for an outgoing, people person. Many jobs at Carnival Cruise, require working well with people, and it is one of the qualities they look for in new applications. Sales positions will likely be asked questions related to how they work. For example: Are you competitive? There may be a series of hypothetical scenarios where they are asked how they would react. How do you handle rejection? Those that bounce back quickly from rejection can be suitable for sales positions. Why do you think we should hire you? Give a 30 second pitch. This is an essential question for the sales team. Daily, sales consultant will have to pitch Carnival Cruise packages to prospective customers. The interviewer wants to know that you can formulate your thoughts and be persuasive. What do you do when you see someone in need of help? This is an important question for members of the crew that work directly with guests and customers. The interviewer wants to know how you will interact with others and if you fit into their culture of fun and friendliness. What is your previous travel experience? Carnival Cruise careers want people that have traveled or have an interest in traveling. They operate within the travel industry, so this is a crucial part of the job. They want to know that employees can handle living away from home and can be valuable sources of information for guests. The Carnival Cruise application process is relatively simple. 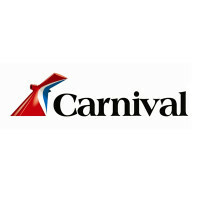 Interested job seekers can learn how to apply for Carnival Cruise online easily and submit a free application. Their company website has a career section that posts available job opportunities. Each position has a job description that lists the desired skills and qualifications. There are numerous options to apply for jobs at Carnival Cruise. Individuals can visit the cruise line’s website to apply online, get a download application form or a printable application form. They can also find a printable application for Carnival Cruise at one of their local office locations or recruiting events. The online application may ask candidates to take an assessment before starting the direct application. This assessment link is used to determine if their characteristics and behaviors fit in with the company culture and position. Questions will ask about your work style, beliefs, and behaviors. If applicants pass the assessment portion, then they can begin the rest of the application. Carnival Cruise jobs seek candidates that are fun, friendly, and responsible. It is important to show up to your interview dressed professionally with a positive attitude. Prepare ahead of time by researching the company values, mission, and culture. Review your resume for grammar and spelling before, and bring a copy with you. The interview process generally takes two weeks, but could take longer for seasonal or corporate positions. Lufthansa Airlines: See our guide for careers at Lufthansa Airlines. Spirit Airlines: Visit the job application for Spirit Airlines to apply today. Singapore Airlines: Visit the Singapore Airlines application. Asiana Airlines: Visit the job application for Asiana Airlines to apply today. Air New Zealand: Visit the job application for Air New Zealand to apply today.